Dear all. Am I the only person in this town that thinks the quality of our grafitti is p*** poor? It’s badly drawn, not very colourful and hard to read. What we need is something that makes a statement. 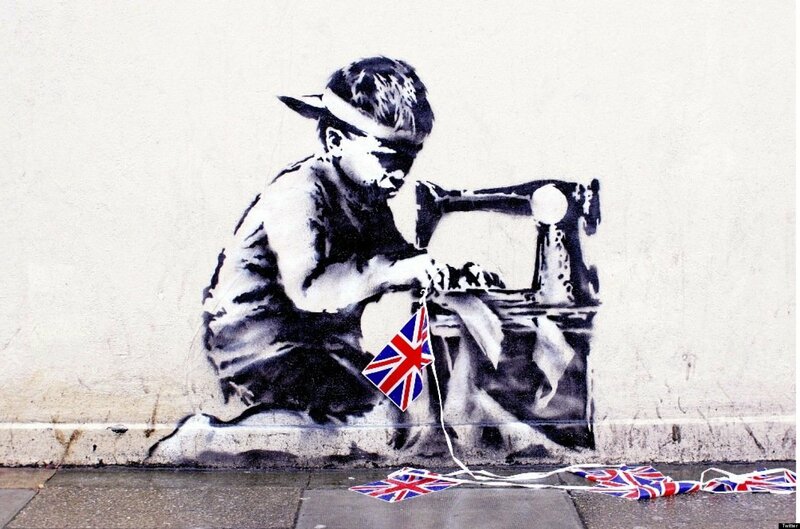 What we need is a Bansky. In the absense of Mr Bansk coming by and brightening up our walls (I’ve tried facebook to find him, but no luck so far), I suggest we apply for lottery funding and buy the one that’s been ripped from a wall and is now for sale in swanky Soho, London (See pic below).